With about 350 items in the traffic safety/industrial safety products section, you have access to a wide range of clothing and equipment required by on-the-scene, first-responders dealing with emergencies. It's all categorized for easy selection and includes everything from safety supplies, high visibility clothing such as safety vests, protective headgear and footwear to a full line of caution tape, duct tape, electrical, masking and triage tapes. Items in this section are geared for use by industrial response teams, fire/police/ambulance departments and include protective masks/respirators, gloves, eye and hearing protection, ropes and ties and auto and traffic safety items. Be prepared…to appreciate our service, selection and low pricing on all this quality equipment. The importance of protecting your eyes while in the field cannot be overemphasized. When responding to a disaster, your eyes are typically exposed to a variety of harmful contaminants and can be irreparably damaged by flying debris. If you’re cleaning out a flooded home or using a saw for carpentry, equip yourself with safety glasses for dust protection. 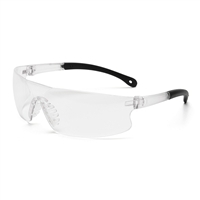 When working on a heavy-duty manual labor project, you can rely upon our bulk safety goggles to safeguard your sight. These goggles are UV coated, crafted from flexible PVC material and vented to prevent fogging. The edges of our goggles fit snuggly and hug skin—effectively protecting the wearer from airborne chemicals. 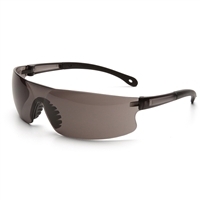 At SOS Survival Products, we offer our customers the most affordable safety eye protection solutions. Shop now and protect your vision!